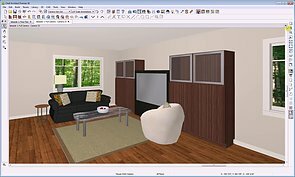 Create 2D and 3D camera views: explore the different camera types, rendering techniques, and lighting options, and learn how to export a 360 panorama or photo-realistic ray traced view. 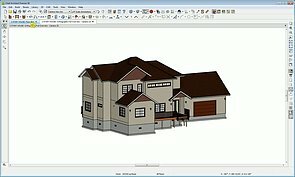 Taking a camera view of your plan is just a click and drag away. 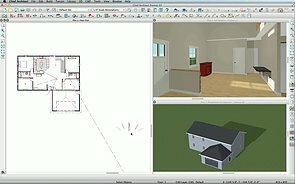 Overview cameras allow you to see your plan from the outside. 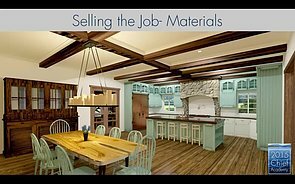 Use the different render techniques to create marketing materials. 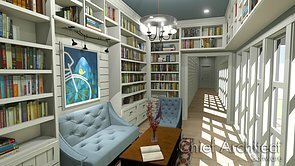 Lighting, materials, camera settings, rendering technique options, and the backdrop all play a role in generating a Physically Based Render. 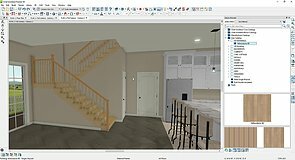 Cross Section and Elevation cameras make it easy to dimension and position objects vertically. 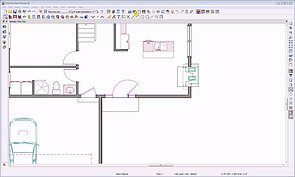 Save a camera view so you can go back and forth between it and the plan view without fear of losing the view. 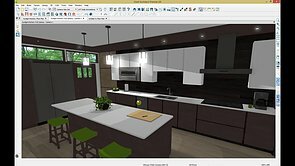 Light Sets allow you to easily control the amount of light in each scene. 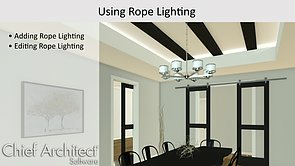 Use the Rope Light tool to create under cabinet lighting, illuminated ceilings, or back lighting. 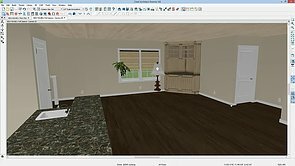 You can apply backdrops and background colors to any 3d view. 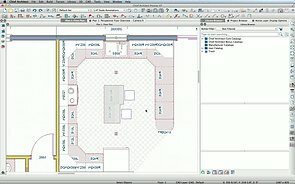 You can create a CAD Detail from your cross sections to allow you full control over display of each line. 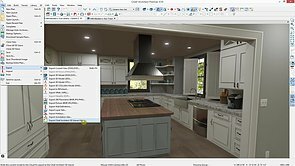 The Perspective Camera tools allow you to generate a wide variety of rendered and artistic views for presentation tools. 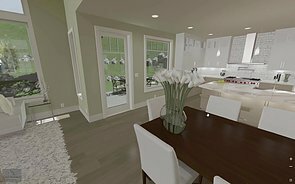 Save or export a 360 degree rendering to share your designs with your clients. 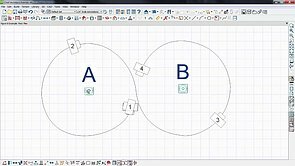 How to modify or import materials within your plan to enhance your scene. 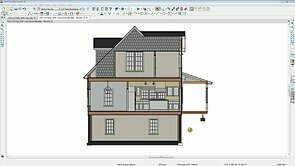 Quickly add plan view shadow polylines to see how the structure will shade the property on any given day of the year. 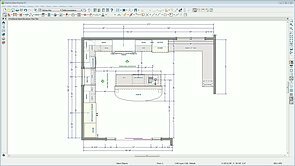 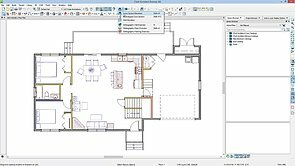 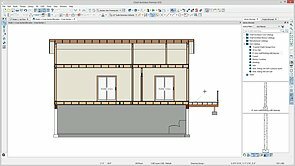 Learn how to create a Walkthrough within Chief Architect home design software. 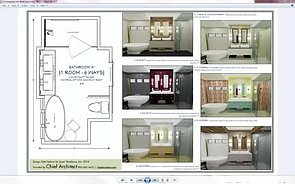 Learn how to use the Screen Capture tool to import images from websites and photos as custom materials. 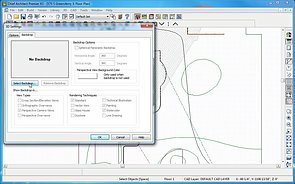 Use CAD tools to represent pattern lines for custom tile layouts and shapes that are not available as predefined patterns. 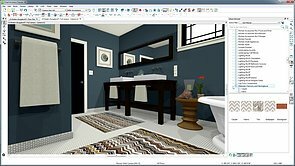 Learn about a new Bonus Catalog of Chevron and Herringbone materials, and how Normal Maps work within our Chief Architect Premier software. 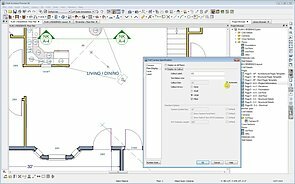 Chief Architect makes it easy to change materials using an item's specification dialog or the Material Painter. 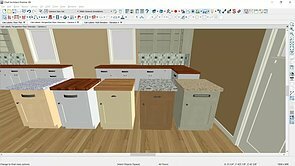 You can create custom colors and materials using your own images or images from manufacturer websites. 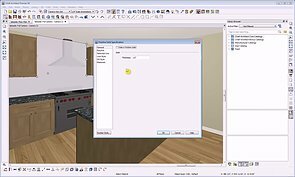 If you need to change the materials of several different components on an object, you can group select the items and change them all at once saving tons of time! 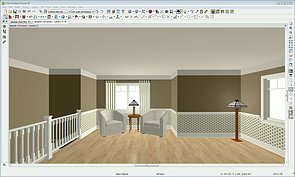 Learn how to add and use your own custom materials. 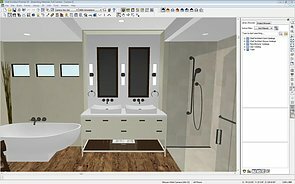 We'll cover tiling a material and stretching a material in our bathroom design. 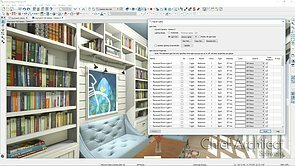 Add sunlight streaming through your windows in your render and ray traced views using the sun angle tools. 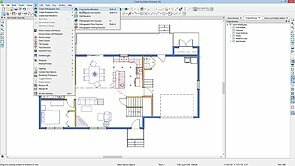 Like floor plan view, what displays in 3D views is determined by the active layer set.